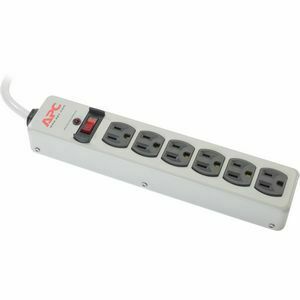 The APC SurgeArrest Essential 6 Outlets Surge Suppressor represents the minimum level of surge protection that should be present on any of your computers and household electronics. Damaging surges associated with lightning or utility problems can travel along your utility and data lines, damaging your electronic devices and destroying your valuable data. Even smaller everyday surges can degrade the performance of your electronics and decrease their life.